Comfort Shouldn't Cost a Fortune! "Very professional, excellent customer service, and knowledgeable!!" Don’t let this winter keep you from being comfortable! Trust the best heating repair contractor in Romulus! We all know how long and bitter cold winter can be in Michigan. Sometimes it doesn’t seem to quit! During these times of intense usage, your furnace is working at its hardest and most prone to failures. A broken furnace can be extremely uncomfortable, and cause health concerns or frozen pipes. At Air Temperature Control, we understand these frustrations, and that’s why we offer 24/7 emergency furnace repairs to ensure that you’re comfortable and safe, and your peace of mind is restored as soon as possible. We have over 35 years of HVAC experience, so you know that you’re in good hands! Our team of technicians are highly trained, fully licensed and insured, and focused on your comfortability. 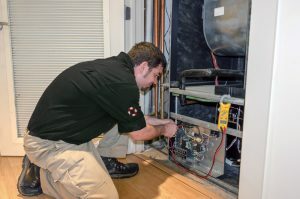 We have experience in repairing all makes and models of furnaces, heat pumps, and other heating systems that you might have. Not only are our services prompt and reliable, but they come at a flat rate – guaranteed. 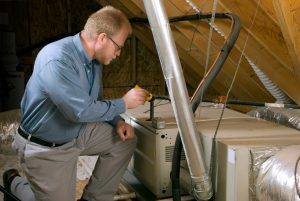 When you choose us for your furnace repair, you can rest assured that you won’t be surprised with any hidden charges or additional hourly rates. We believe in providing top-quality services at affordable rates. Air Temperature Control offers competitive pricing on all of our ComfortMaker furnaces and other heating & cooling equipment. As a ComfortMaker Authorized Dealer, we also offer comprehensive 10-year warranties and affordable installations by knowledgeable and trained technicians. When our technicians arrive at your home, they will perform a free in-home assessment to help determine the best heating system for your home – based on your home layout, budget, and overall lifestyle. This ensures that your system won’t be under or overpowered, which would lead to decreased comfort and excessive energy costs. Did you know that upgrading your furnace to a high-efficiency heating system can reduce your energy costs by 50%? Modern heating systems are now designed to protect your wallet as much as they protect the environment. The advanced technology behind these heating systems reduces the overall amount of fuel and energy consumption of the system. This makes upgrading to a new furnace a great investment both for your comfort, your ongoing heating and cooling costs, as well as the value of your home! The best way to avoid an unexpected furnace or heating system breakdown is to have routine maintenance performed on your system. HVAC experts recommend regular maintenance be performed all types of heating and cooling systems at least twice annually in order to achieve optimal performance, avoid system breakdowns, and to improve the air quality in your home or business. Routine maintenance checks typically include full inspections and diagnostics, replacement of air filters, cleaning system parts, and replacing any parts that are likely to cause damage to your system. For air conditioner installations, maintenance, or emergency repairs, contact Belleville MI’s top-rated heating and cooling technicians at Air Temperature Control today! We service Romulus, Ypsilanti, Canton, Ann Arbor, New Boston and the surrounding areas. ©2018 Air Temperature Control® - Do not copy. All rights reserved. *Flat Fee Guarantee Offer Available Monday-Friday from 9 am to 5PM. All other times subject to additional charges.